There are as many different uses for Facebook groups as there are Facebook users, from sports leagues to alumni groups to community movements. No matter how you use Facebook groups, you may be sharing locations, planning events, and exchanging contact information that you would rather not broadcast to the entire Internet. For activists in particular, Facebook groups are an increasingly important tool. Facebook and Facebook groups played a key role in making the Women’s March in January 2017 one of the largest protests ever. On a smaller scale, activists around the world use Facebook groups to spread the word about their cause and organize around it. But Facebook groups seem designed more for open sharing and collaboration than for privacy, and securing a Facebook group can be confusing, especially when it comes to choosing your group type and diving into privacy settings. When creating a Facebook group, you have three types to choose from: Public, Closed, or Secret. This chart from Facebook shows the differences that we describe below. Public groups are just what they sound like: public. Anyone can see the group’s name, location, member list, and posts, and the group can show up in anyone’s searches or News Feed. Anyone can add themselves as a member without any invite or approval. Closed groups are more confusing. A Closed group’s name, description, and member list are not at all “closed,” but are publicly visible. Closed groups may even show up in a search publicly. Overall, they are just as open as Public groups, except for three main differences: (1) new members must ask to join or be invited by a member, rather than just adding themselves; (2) only current members can see the content of group posts; and (3) only current members can see the group in their News Feed. Secret groups are the most private of the three types. No aspect of a Secret group is publicly visible, new members must be added or invited by current members to join, and only members can see the content of group posts. However, former members who have voluntarily left the group can still find the group in search and see its name, description, tags, and location. If you want to change your group type after reading this, the option is available in your group’s settings under “Privacy.” Note that for groups with 5000 members or more, you can only change to a more private group type—for example, from Public to Closed, or from Closed to Secret. Once you change the setting to be more private, you have 24 hours to change it back. Regardless of size, whenever you change the group’s type, all members will get a notification. Depending on your group type and its default settings, new members might be able to add themselves, or they may have to be added or invited by a current member. In every kind of group—even in Secret groups—current members can add new members to the group. But you can use the “Membership Approval” setting to require that all new members get admin approval. Only admins are able to remove and block members. This is particularly important if you want to make sure former members cannot access your group. No matter what type of group you choose and what settings you take advantage of, there is a hard limit on how private Facebook groups can be. If the company receives a government request to turn over user information or take down content, your group may be vulnerable. 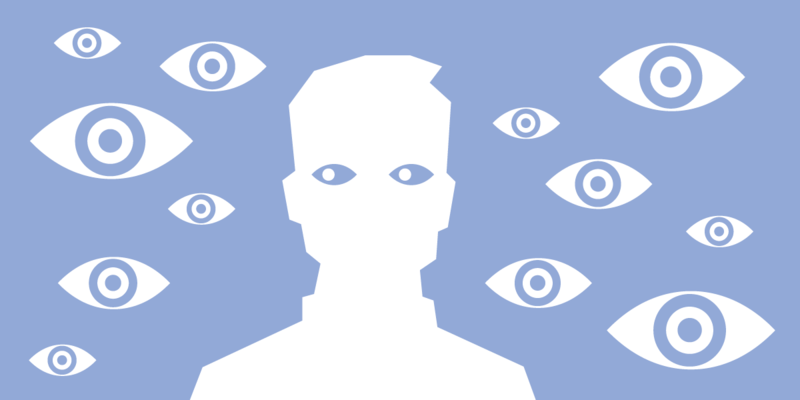 In some cases, if Facebook's copyright bot flags content in your group for potential copyright infringement, rights holders may be allowed to see it. And if users report content inside your group—even Secret groups—as violating Facebook’s Community Standards, it can be taken down. Users can even be temporarily banned from the platform for such violations. Of course, leaving Facebook and Facebook groups altogether may not be practical, especially if your members and audience are unwilling or unable to move away from the platform. Instead, weigh tradeoffs with your threat model in mind and remember that Facebook itself has access to everything posted on its platform, including your group members and content.